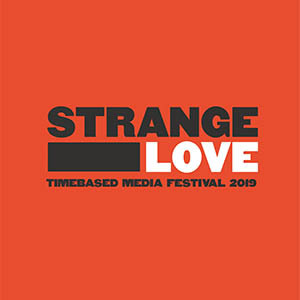 Alumna Faye Golley, who graduated with a BA (Hons) in History and Philosophy of Art in 2016, is currently curating the Strangelove Time-based Media Festival 2019, which will feature a special symposium at the Folkestone Quarterhouse, held on Friday 22 March 2019. Faye is Founder and Gallery Director of Casement Arts, a window gallery in Folkestone, Co-director of Threads Nomadic Gallery, which aids artist development through regular discourse and criticism outside main institutions, and is curator and project manager of the Strangelove Time-based Media Festival. Faye explains how her involvement in the Festival came about: 'In my first year of being a graduate I threw myself at as many opportunities that I came across; I volunteered at a number of arts festivals. My first proper job was as an assistant producer for Threads Nomadic Gallery, which led to me joining the team and being invited to curate a show as part of Strangelove Festival 2017. The Festival was launched at the Photographer’s Gallery in London, 23 February, before moving to the Turner Contemporary in Margate and the Fabrica in Brighton, with the festival will concluding with five days of events in Folkestone's Creative Quarter from 20 March. The theme of the symposium is 'Past, Present Future: What is Time-Based Media?' It will begin with a rough history of video art by artist and writer Chris Meigh-Andrews, who also will chair the programme, followed by presentations from Larry Achiampong, Manuel Vason, Jane England, Keith Piper and Lois Keidan.